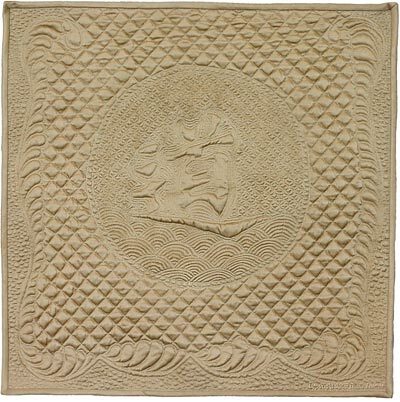 The Chinese character for 'tao', or 'the way' is in the center of this small wall hanging. This is a freehand practice piece I made before I went to Diane Gaudynski's machine quilting class at Asilomar. 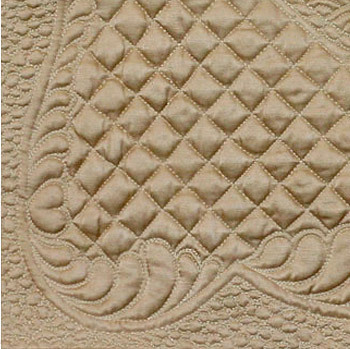 I wanted to see what the Kaufman sateen looked like after it was quilted. 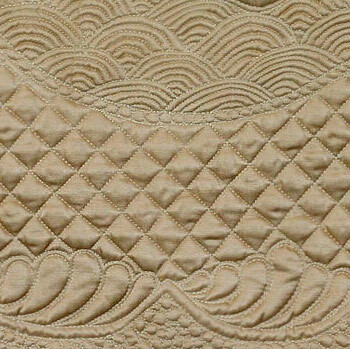 Although the sateen is a bit tricky to handle everyone agrees that it looks beautiful after it is quilted!